Nervous flyer? Worried you'll miss your flight? 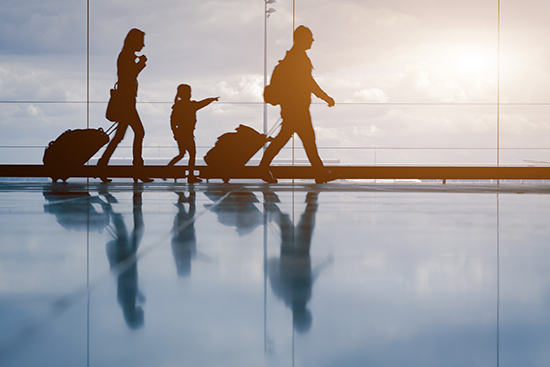 Here Flight Centre's Lauren Burvill talks us through how she deals with airport stress. I once missed a flight. It was only a domestic flight and I managed to get another the next morning. But since that momentous turn of events, I have become a sufferer of airport anxiety. And it's the type of anxiety that has only gotten worse over the years. As a travel writer I love travel, but I also dread the stresses that hit me on the day I have to fly. I’m tense from the morning of the journey, until the moment I’m on the plane, and more so on an outgoing flight than a return flight. I check my bag obsessive-compulsively to make sure I have my passport (and even say it out loud to myself: ‘I have my passport’), and check my phone every minute to make sure I’m running on time. As you can probably gather, I’m not much fun to travel with and no, I won’t join you for a pre-flight drink at the bar – I’ll be waiting tensely at the gate thank you very much. In order to make my life, and the lives' of my travel partners, a bit more bearable, I’m vowing to try and deal with my airport anxiety better via these easy tips. This is one I’ve learnt and adopted over time myself. If you can’t relax on the day of your flight, then aim for an early one so you can get it over with! Going early also means you get to enjoy more time in your destination as well. Particularly useful if you are flying early (see tip 1), pre-booking your airport transfer takes the stress of getting to the airport off you and into the arms of a ‘getting to the airport’ professional. They know the routes, they know where the traffic is, they know how to get to your specific terminal and, if you tell them you’re nervous about getting to the airport on time (even though you’ve left four hours before your flight), they’ll put your mind at ease. To make sure things run smoothly for you, our Travel Experts can pre-book your airport transfers, ensuring complete peace of mind. 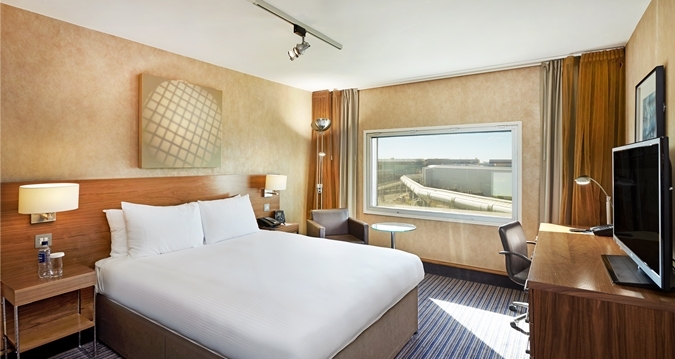 The Hotel Hoppa runs between Hilton London Heathrow Airport (and other hotels), and Terminal 5 every 30 minutes. This is another tactic I’ve employed, especially when I’ve had a very early flight. Airport hotels are practically set up for people who are nervous about getting to the terminal on time. They’re quiet, relaxing and best of all close to the airport. Most will offer free shuttle transfers while others even have direct access to airport terminals – an airport anxiety sufferer's dream! I once stayed at an airport hotel in Italy and only got to the airport two hours before my flight #progress. As mentioned before, arriving at the airport early is the key ingredient in curing your airport anxiety. 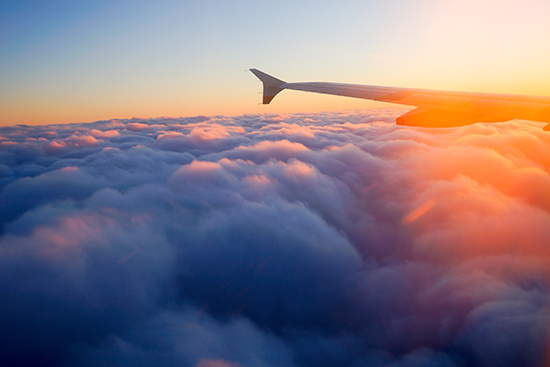 For most international flights, airlines recommend you arrive two to three hours before your flight. Generally speaking, the longer the distance you are flying, the earlier you should arrive at the airport. So if you’re flying long-haul, I recommend arriving at the airport three hours before. Airport lounges are great for obvious reasons (quiet, comfortable lounges, family rooms, complimentary food and drink), but they’re also incredible for airport anxiety sufferers like me. Not only can you enjoy a relaxing cup of tea in front of a screen displaying live flight times, but most lounges are often close to your gate, so it’s a calming walk to your flight. With this knowledge, it’s much easier to relax and distract yourself with the lounge’s entertainment and food options. For an even more stress-free lounge experience, it’s worth considering upgrading your flight to a premium cabin. 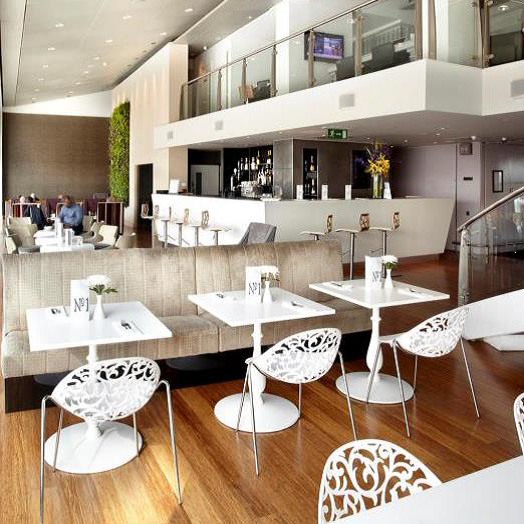 By flying premium, you will be able to access your airline’s premium lounge which includes the usual lounge perks plus added extras such as on-site spas, cinemas, private hotel-style rooms and best of all, direct gate access. So while you’re enjoying that massage you can relax even more knowing you’re practically already at your gate! Feeling stressed? Strike a pose! Forget a stiff drink, yoga is the true cure for anxiety sufferers. Taking a few minutes to breath, stretch and pose will, according to the NHS, benefit people with high blood pressure, heart disease, depression and stress. Considering the lack of space and quiet at the airport though, a quick child’s pose before your flight doesn’t seem like the most achievable task. Enter yoga rooms: the latest trend popping in the world’s airports. 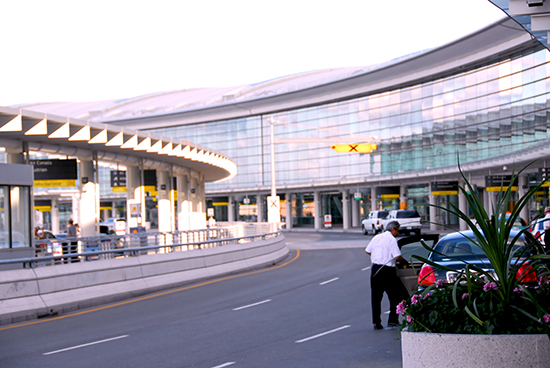 San Francisco International Airport was the first to add an yoga room, with Chicago O’Hare, Dallas/Fort Worth, Burlington Airport in Vermont and Helsinki Airport following suit. In the UK, the SkyTeam Lounge at Heathrow Terminal 4 offers guests access to a tranquil yoga room complete with mats and SkyTeam's own yoga video exercises. Take a deep breath and get excited for your holiday! If yoga’s not your thing, then just a few deep breaths can make a difference. I know, it sounds so simple, but it’s often the simplest things that are the most effective. 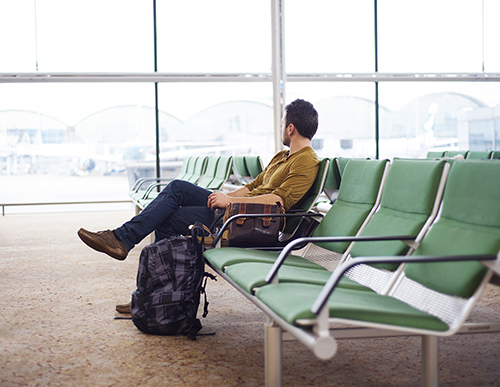 Once you’ve arrived at the airport on time, gone through security and found your gate, take the time to find a seat, put your phone away, close your eyes and breathe. By breathing deeply you can slow down your heart rate, relax your body and ease your body out of anxiety mode. Your travel partner will no doubt thank you for it. Talk to a Flight Centre Expert today about pre-booking your airport transfers and lounge access on your next holiday.